Women are no different to men when it comes to oral care. They too must take care of the teeth and gums on a regular basis to stay on the right side of their dental health. If they are not regular with their oral hygiene schedule, it could then harm their teeth and gums in more ways than they imagine. Poor oral hygiene is responsible for problems like premature tooth decay, stained teeth, discoloration, gum problems etc. 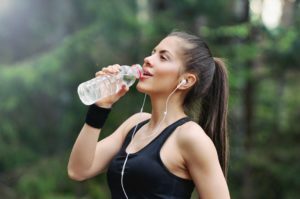 And with studies establishing a direct link between oral health and overall physical wellbeing, there is no reason women should take their dental health lightly ever. Women must brush their teeth twice a day, once in the morning and then before hitting the bed. Using a fluoride-based toothpaste, a soft-bristled toothbrush can help more. Plus, they should floss immediately after brushing to take out the foods and plaque stuck between the teeth. Flossing is very helpful in cleaning even those things out of the mouth a brushing generally can’t. Gum problems during pregnancy could cause harm to the would-be child in the womb. Women expecting baby must understand that well, and start giving more focus to their gums. They must clean their tongues daily to prevent any store-up of plaque, which is responsible for causing gingivitis – the early stages of gum problem. And if the gums bleed during pregnancy, it’s always better to consult the dentist and seek treatment. Women are more at risk for gum problems, particularly during pregnancy. All the chemicals, hormones and acids that characterize pregnancy can lead to a variety of dental issues including enamel erosion, gingivitis, tooth decay risk etc. So, they should try natural ways of oral care more. A gargle with salt water can help break the layer of plaque and inhibit bacterial growth in the mouth. The bacteria on the tongue surface can wreak havoc on the oral health and women should be cautious of that. Not cleaning the tongue regularly can leave with tender, swollen or inflammable gums, which later become the cause of periodontitis – an advanced form of gum disease. When the tongue is cleaned properly, the plaque build-up is prevented and this help in the maintenance of oral health. Eating right is key to staying on the right side of your oral health. 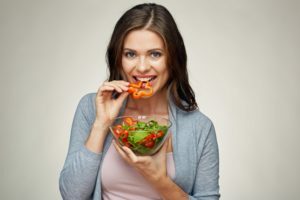 Women concerned about oral health should stay away from foods high in sugar content and rather eat natural foods laden with minerals and elements. Some of the good food items of maintaining oral health include cheese, apples, carrots, almonds, leafy greens, cranberry etc. Water is good for your dental health. It not only keeps you hydrated but also helps wash away all the foods, plaque and bacteria that are always present in the mouth. 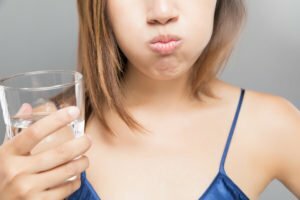 The water you drink also neutralizes the acids and prevents the problem of a dry mouth. So, it ensures a fresh breath also keeps you away from potential dental problems. Women should consult the dentist often so that any problem is spotted at an early stage and their treatment can be started immediately. 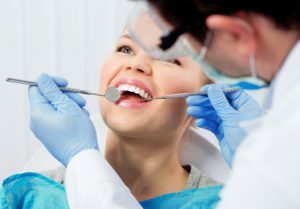 A best dentist Greenpoint also helps by doing a complete check-up of the oral cavity to see if everything, be it the teeth, gums, jaw, bones, is free of the problem. The dentist also recommends right diet which you can follow and achieve total oral health easily.